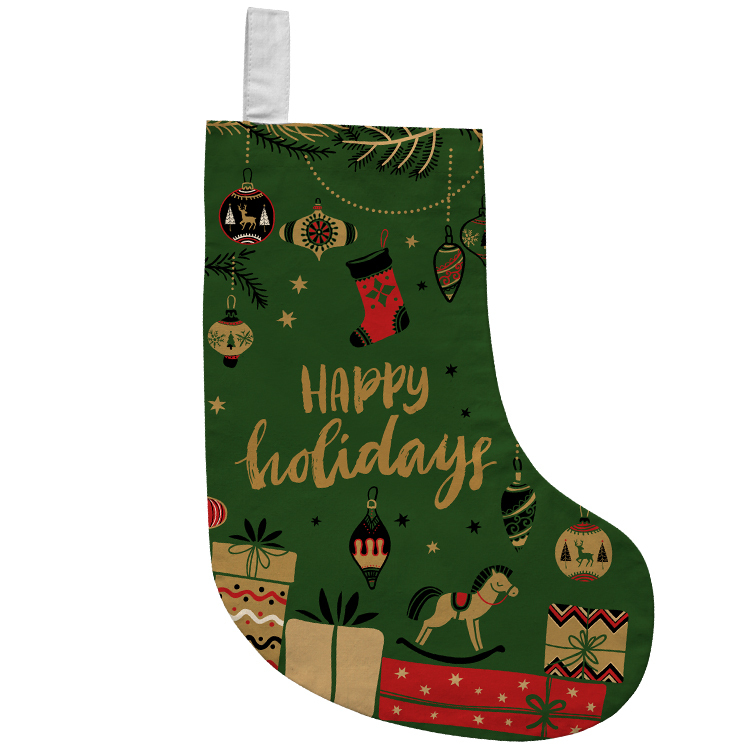 Holiday Cotton Stocking - Show Off Your Holiday Cheer With These Christmas Stockings! Select a Template and Add Your Logo ! Product Measures: 15"H x 9"W (6.25"W Top Opening Width) These Holiday cotton stockings are perfect for holiday parties, seasonal gifts, winter client appreciation events and so much more and come with available candy fillers for a complete gift idea. Add your designs, name and logo to complete the look and go with a product that makes sure your brand has a place at the hearth this holiday season! 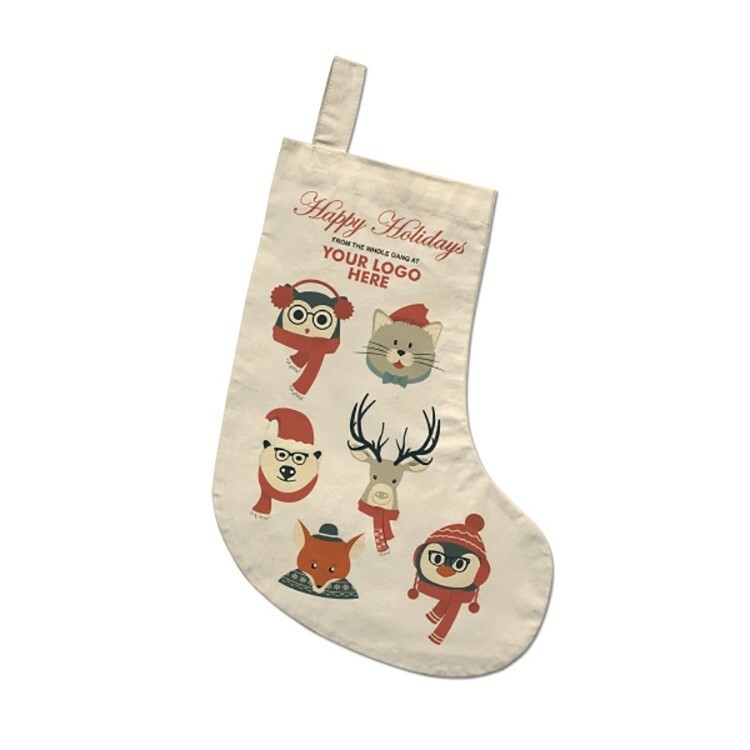 Add your brand to the mantelpiece this holiday season with the cool look of this PET holiday stocking. This lid classic is made using 100% recycled PET material, making it a natural choice for your upcoming eco-promotion. Full color sublimation offers vibrant, eye-catching imprinting that you can count on to get noticed. Add this promo to your next holiday party, gift distribution and more. Don’t wait- get started with your order today!